Facebook hasn't been making it any easier these days for page owners to reach their subscribers. With the limited exposure they are allowing us, without having to resort to purchasing ads, we are only able to reach about 5-10 percent of our readers on any given post. There are a number of ways to keep us in your news feeds. First and foremost: Like, Comment and Share The more active you are, the more Facebook will realize you want to see our posts. Even if its a simple smile, it will make a difference. The third option, for staying in touch with what we post, is to Create an Interest Feed. We have taken the time to write out the 'how-to' for this below. We hope this helps you stay in touch with us. We miss seeing you! 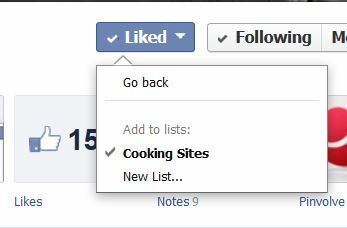 Locate the place on our main Facebook page where you selected "Like" Click on it and a drop down menu will appear. Be sure to you clicked the Get Notifcations button (there will be a check mark beside it if you have) After you have done that choose "Add to Interest Lists..." by clicking on it. If you have already created an Interest page, it will now appear, but most of you will simply see the option to create a New List. Click on "new list"
Once you click "new list, the following screen will appear on your screen. Click Next on the bottom right hand side. 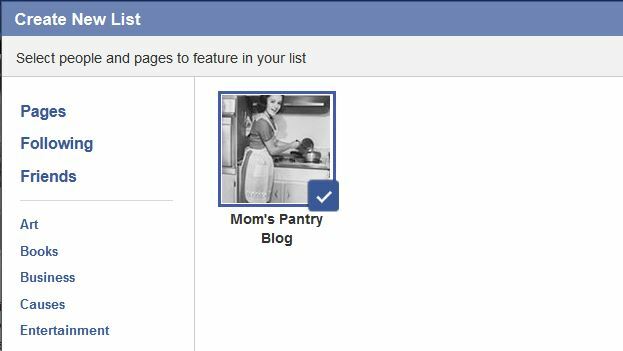 You will now need to choose a name for your List --- Cooking Pages, Recipes etc....whatever will help you define and remember what you created the list for. You will also have to choose who you want to grant permission to see your list on your profile. - You can see the options in the screen capture below. Once you have decided on the name and who can see your list, click next on the right hand side at the bottom. 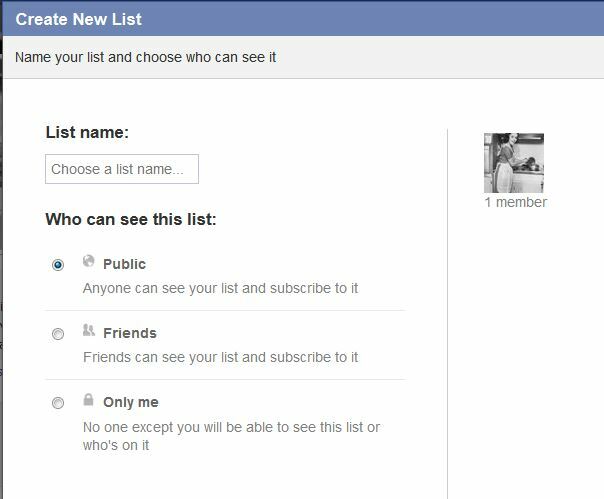 Your list is now created!! 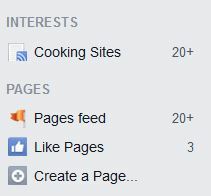 To access your list, while viewing your news feed on your Facebook page, you will find the INTERESTS section on the left hand side column as seen below. It'll be under you Games feed etc. Click on your newly created List link and you will be taken to a page that will show ALL of the posts from the pages you chose to include in this feed. If you don't see the Interest List you just created,hover over the right hand side directly across from the word INTERESTS and the word "more" will appear. 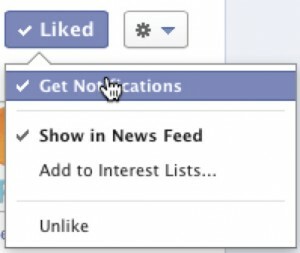 Click on it and a new screen will open showing all you Interest Lists. Remember you can add as many of your favorite pages in one feed as you would like, but I would suggest grouping them by topic etc so it will be less cumbersome to go through all the posts. If you have too many in one feed, it make be more discouraging than it is helpful.